Walpole Fishing Licenses are not currently available. Please call the store at 586-777-7003 for more information. 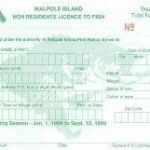 Walpole Island 7-Day Fishing License for one person. 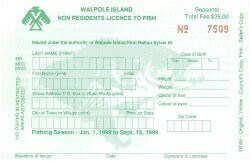 A valid Canadian License is required to fish at Walpole Island. If you do not have a Canadian License, click here to purchase one. If you are picking up your License, please be sure to choose the “Pickup” option on the Shipping Page so that you are not charged for shipping. 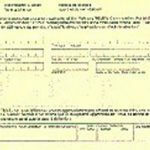 All form fields below must be complete for license orders to be processed. If you need an Outdoor Sports Card you must select the option below.